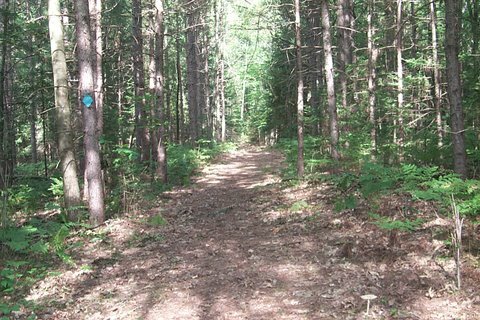 12 miles of gently rolling trail through the Huron National Forest will lead you around Reid Lake and many smaller lakes and bogs. Reid Lake is a 3,000 acre back-country recreation experience that is closed to motor vehicles. 12 miles of gently rolling trail through the Huron National Forest will lead you around Reid Lake, once part of a northern Michigan farm. The ski trails are easily negotiated by a beginning skier, with enough rolling terrain to please even the more advanced skier. Hunting and fishing are permitted. Reid Lake boasts a large population of largemouth bass, perch, sunfish, and rainbow trout. Small boats, canoes, and inflatable rafts are permitted, but they must be carried in and out of the foot travel area. Parking lot and trailhead are located on M-72. National Forest Service vehicle pass is required.